Prevent feelings of depression and loneliness. We can keep you company through genuine friendship. 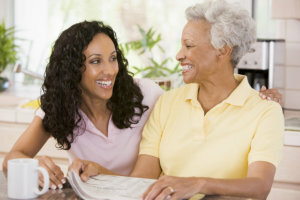 The goal of this service is to provide companionship and supervision to seniors and others who simply need in-home care supervision because of some condition, illness, injury or cognitive disease. The companion assigned to you covers the responsibility of providing emotional support, join you in the activities you want to do, and just be a friend who you can lean on whenever you feel alone.